This site is about the state of Kentucky, the people, places, history and happenings. 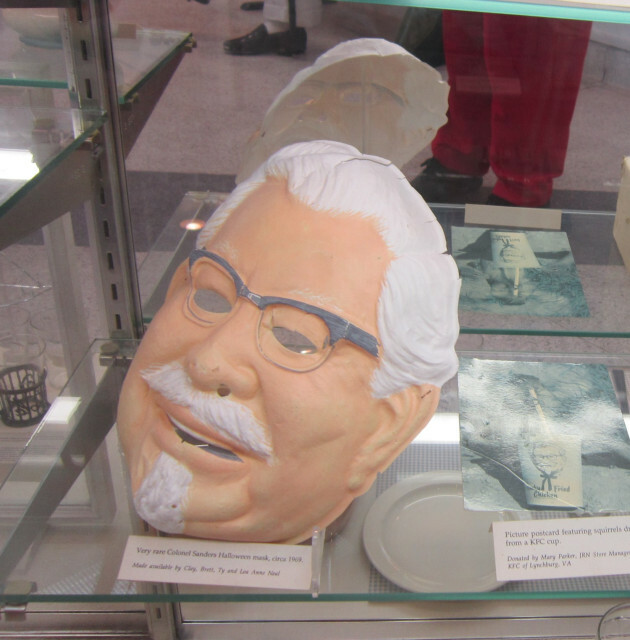 Great article on Colonel Sanders and the Colonel Sanders Museum with information on how he originally started the restaurant and what it’s like to tour the museum. Darrell Hammond. Norm Macdonald. Jim Gaffigan. Vincent Kartheiser. Rob Riggle. Before those modern actors, kids in the ’60s had their chance to play Colonel Sanders, too. A great book about Kentucky and the author’s life. Great photos and interesting post on Betty McCoy House in Pike County. On December 7, 2016, I visited the Betty McCoy House at Stringtown, Pike County, Kentucky. According to tradition, Roseanna McCoy gave birth to her child by Johnse Hatfield here at Aunt Betty’s residence in 1881. The romance between Johnse and Roseanna represents one of the more familiar events of the Hatfield-McCoy Feud. Betty McCoy residence in Stringtown, Pike County, KY. According to legend, Roseanna McCoy gave birth to Sarah Elizabeth at this location in 1881. Betty McCoy residence in Stringtown, Pike County, KY. According to legend, Johnse Hatfield continually tried to see Roseanna while she stayed here with Aunt Betty. Historical Marker at Stringtown, Pike County, KY. This is Site 2 on the Hatfield and McCoy Driving Tour brochure. Sarah Elizabeth “Sally” McCoy grave at Stringtown, Pike County, KY.
Kentucky Traffic School Gets You Out of New or Old Points On Your Driving Record. Here’s How. Great information for Kentucky drivers with violations and how to go to traffic school. Kentucky drivers don’t have to settle for a bad driving record. A driving record that is filled with traffic violations can see you kept out of certain occupations, paying higher insurance premiums, or even worse, having your drivers license suspended. Nobody wants or needs that. Kentucky traffic school can be your key to a clean record, cheap premiums, and keeping you straight on the road of life. In order to qualify for Kentucky Traffic School, you must be referred by the Division of Driver Licensing [DDL] in the Kentucky Transportation Cabinet [Call (502) 564-1257 to get a referral for traffic school from the state].